Let's talk base products first. 2017 was a good year for primers, in my opinion. If you have been following me for sometime (shoutout to the OGs) then you would know that I hate primers with a deep passion. However, I really like The Ordinary's High-Adherence Silicon Primer because it did a good job blurring out pores and lines while making makeup last a bit longer. I also really liked the L'Oreal Magic Perfecting Base because it has a thicker formula so it blurred out my pores a lot more than the average primer, but it also had a very smooth and soft finish. The Ordinary's Serum Foundation (2.1Y) was another very impressive find for 2017. 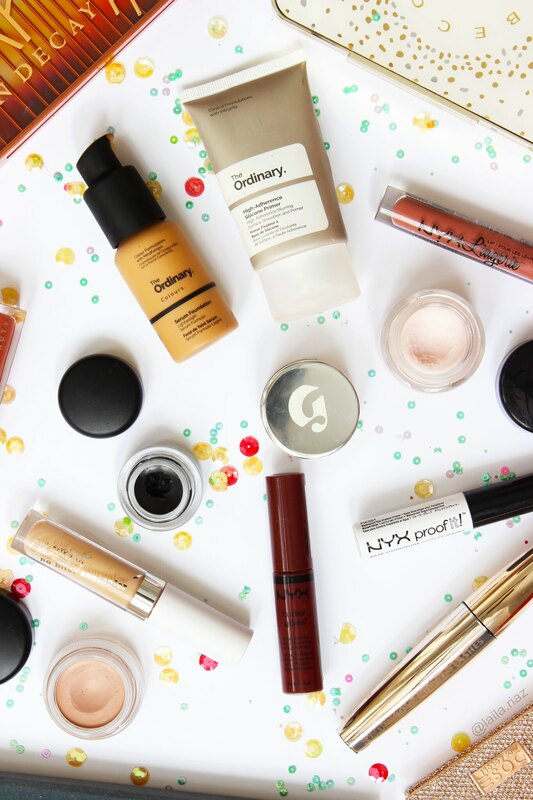 The foundation has a thin consistency, but has decent coverage. It is perfect for everyday use and I don't mind using it everyday because it has a price tag of about $7.00. I have two concealers I adored this year: the Glossier Stretch Concealer (Dark 30) and the Colourpop No Filter Concealer (Medium 30). The Glossier one is what I really like using to cover acne and scars because it fits my skintone very well and the formula is very smooth and wet. Making the product blend into your skin or foundation without looking very dry and cakey, like other concealers. The Colourpop one is the first concealer I have found that has adequate, if not superb, coverage for my under eyes. I used to play the game of using an orange or red concealer for my under eyes, then putting a skin-colored concealer on top. However with this concealer I do not need to do that. Under the base section I wanted to touch on eye-bases. This year I got to try Mac's Paint Pot in Painterly and I adore this as an eyeshadow base. It does a nice job evening out my skintone and it is not as heavy as concealer. It has a soft, almost cushion, formula so it is easy to work with and it stays put. I struggle with oily eyelids and it can be so disheartening when you spend so much time on your makeup and it creases and fades within the hour. However, I found that the NYX Proof It Waterproof Eye Shadow Primer really helps with oily eyelids. It is sticky and can make blending cream products onto the lid difficult, but it is amazing for oily eyelids. Moving onto eyes, I loved the Urban Decay Naked Heat Palette. It is definitely a step up from their other palettes. I don't care so much for the shimmer shades, but the mattes have become a crucial part of my makeup routine for blending and crease colors. Also, I love the red and brown tones in this palette because I think it suits my skin color much better. Another favorite, a bit controversial one, is the Anastasia Beverly Hills Subculture Palette. I really love this palette because it suits my makeup application style which is very light handed. The mattes do oxidize for some reason. For example, Roxy is a muted baby pink in the pan, however it shows up much redder on the eyes. *Note: I amped up the saturation and vibrancy of the photos, but everything is pretty much true to color except 'New Wave' and 'Edge' of the ABH Subculture are a bit more vibrant when in reality they are more muted. My favorite collaboration of the year has to be the Desi Perkins x Katy (Lustrelux) x Dose of Colors The Girls Palette collaboration. They took a gamble on this palette because I have found a lot of other collaborations lean more towards everyday colors but this palette is bold. I love the colors and formulas. I don't mind having to wet the shadows or my brush for the application. I had high expectations for this palette and they were met. My favorite way to apply eyeliner is to use a gel eyeliner and my favorite of the year is Mac's Fluidline in Blacktrack. It is very smooth and very dark. I like to build up my eyeliner in opacity and Fluidline lets me do that. I think I found my all-time favorite mascara which is the L'Oreal Voluminous Million Lashes. It is the best mascara I have every tried because it curates to how I want my eyelashes to look: separated and thick. I think I included this last year too, but I loved the Jaclyn Hill x Becca Face Collection Palette. 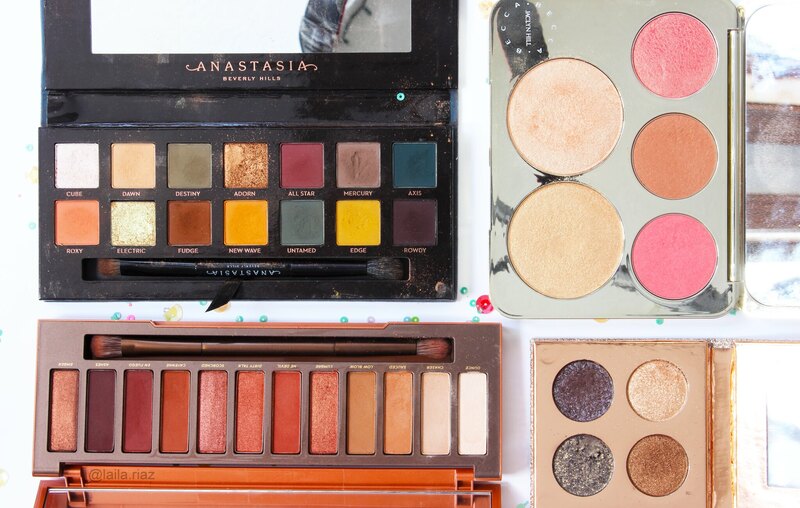 I used everything in this palette, but my favorite is the mineral blush in Amaretto. It is my go to blush for every occasion. Looking back, I think I did pretty well with lips this year. I experimented with different browns and liquid lipsticks and I found that the NYX Lip Lingerie in Ruffle Trim was my go-to. I am still developing my opinion about liquid lipsticks, so all I can say is that I enjoy the color and the formula. Lip gloss was something I put on the back burner for sometime because I was experimenting with other products, but I found two that I liked during 2017. The NYX Butter Gloss in Raspberry Panvola was something out of my comfort zone due to the dark color but I loved this color on its own or using it as part of a lip gradient. 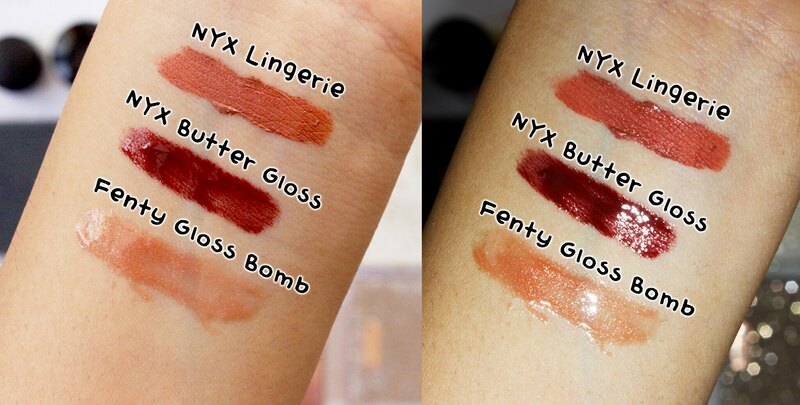 *Note: I amped up the saturation and vibrancy of the photos, but everything is pretty much true to color except the NYX's Butter Gloss in 'Raspberry Panvola' is pulling a bit more warm/red than it actually is. A lip color that deserves the final pedestal is the Fenty Beauty Gloss Bomb in Fenty Glow. At first, I was against buy any Fenty beauty products because I felt there was too much hype around the brand. However, I knew at some point I would end up buying the lip gloss because it so pretty. It is perfect for any occasion and I am pretty sure any makeup look. It is beautiful. 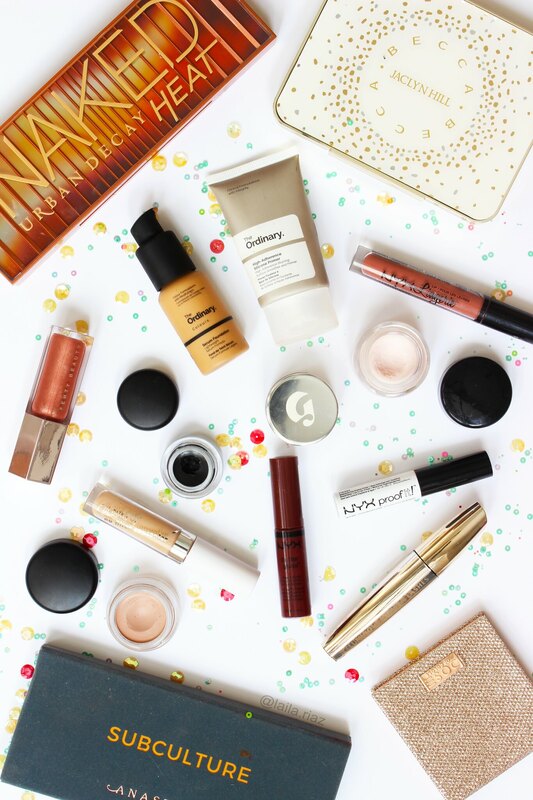 What are your 2017 Beauty Favorites?